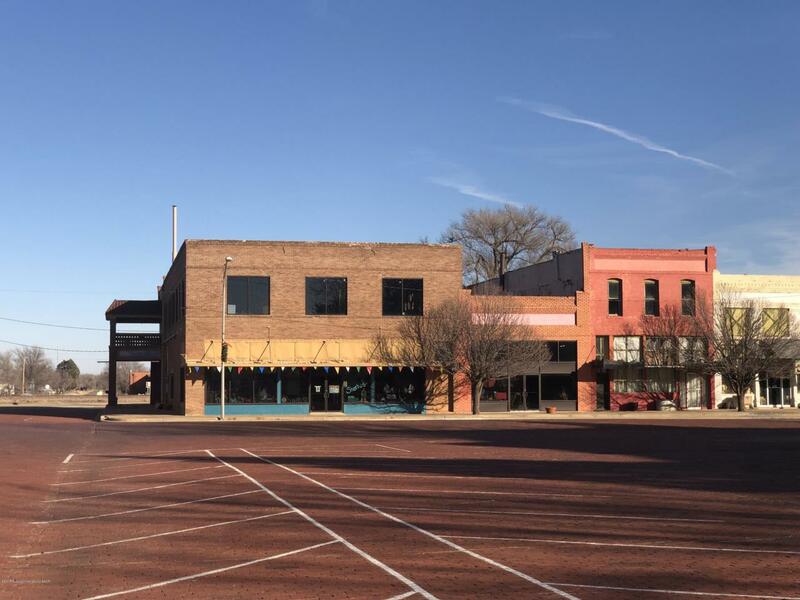 A must see set of 4 adjoining commercial buildings all located on the north end of the east side of the square in downtown Memphis, Texas. So many possibilities and opportunities and all available for one price! Building #1 is located on the west 100 ft of Lots 1 and 2. The two story commercial building with 50 ft of frontage has had the ground level floor completely gutted and fully renovated with all new HVAC, plumbing and electric, Cat-5, five offices, large open lobby with wood burning fireplace, large conference room, extra large file rooms, two restrooms and plenty of storage/closet space. All new black metal framed tinted commercial windows, with matching front entry and side entry doors were recently installed. See more....In addition, the rear of the bottom floor includes a large garage/shop with roll up door, and a separate walk-in entrance door. (Previously an office complex. Currently occupied by Sharbo's Emporium with large amount of inventory. The business is available for sale for additional sum. Interior pictures taken before inventory moved in. 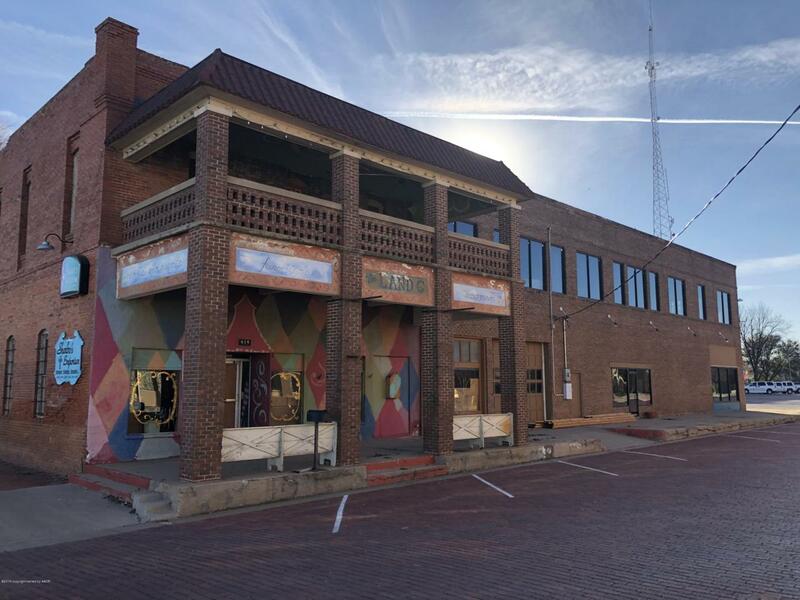 The top floor of Building #1 is accessible from the sidewalk or front foyer, and at the back of W Main Street. All upper windows facing W Main Street have been replaced with windows matching the ground level. The windows on the south side overlooking the one story building next door have not been replaced. The top floor interior has been gutted down to the studs. Existing walls in the top floor are set up for approximately 9 or 10 offices, a receptionist area(s), conference room(s), restroom(s), kitchenette area, storage room(s). Could be converted to loft apartments. Building #2 adjoins on the east 30 ft of Lots 1 and 2. 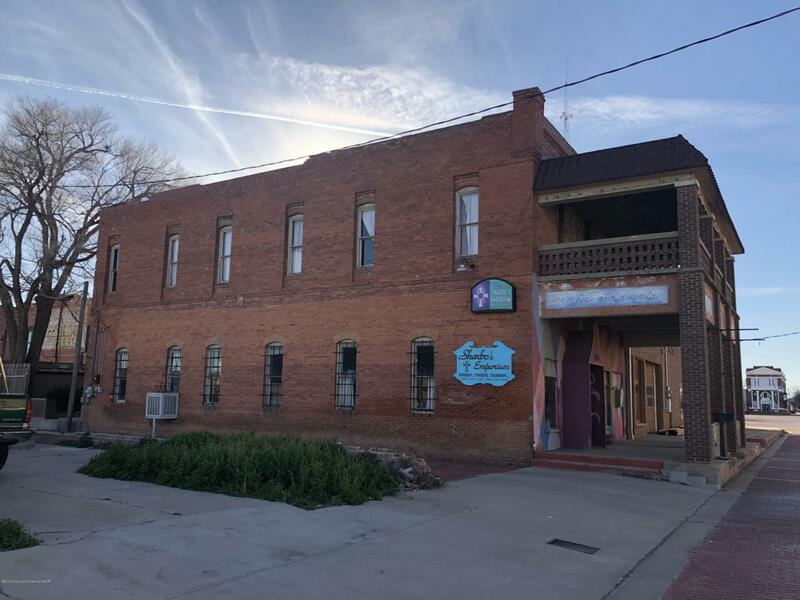 This two-story retail/apartment building, with two story facade/canopy facing W Main Street has retail space on the ground floor and the top floor could be a loft apartment with large porch/canopy. Building #3 is the one-story building adjoining to the south on the west 100 ft of Lot 3 and the south 5 ft of the east 30 ft of Lot 3. Building #4 is the two-story building adjoining further south on the west 100 ft of Lot 4. This building has major roof leaks which has ruined the floor. Do not enter. All interior pictures are of Building #1 ground floor only. Sold As Is, Where Is..... excluding business inventory, furniture, fixtures and equipment of Sharbo's Emporium. Entire east side of square is in a Flood Zone, so Flood Insurance is required if financing is involved. Owner may consider seller financing with substantial down payment. Listing provided courtesy of Chad Holland of Chad Holland Real Estate.